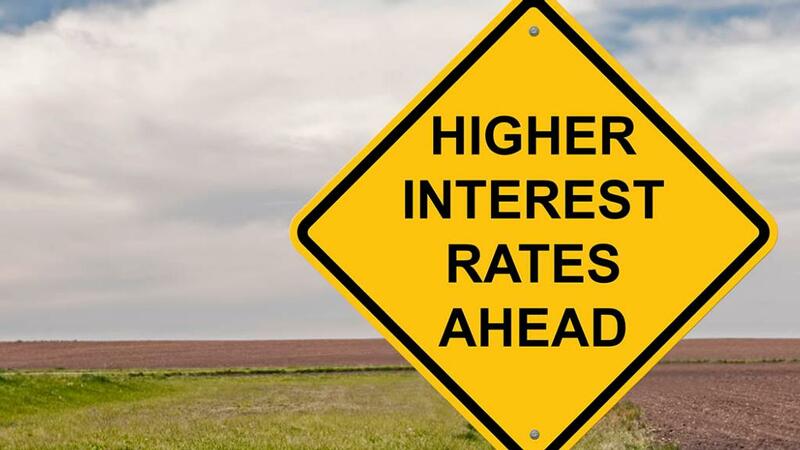 Many farmers struggling with low profit margins and high input costs would be unable to cope with even a modest rise in interest rates, rural advisers have warned. Abi Kay and Alex Black report. Paul Aplin, president of the Institute of Chartered Accountants in England and Wales, sounded the alarm at the NFU’s business symposium in London this week. In August, the Bank of England (BoE) increased rates to 0.75 per cent – the first time they have risen above 0.5 per cent in almost a decade. A further small increase is expected in the middle of 2019, but BoE experts have warned they could respond to a disorderly Brexit with a much bigger hike. One no-deal ‘scenario’ modelled by the bank set rates at 4 per cent. Mr Aplin said: “I am worried if interest rates did change, there are a lot of small businesses out there who would suffer pretty badly. Andrew Robinson, partner and head of agriculture at Armstrong Watson, agreed. “There is not a lot of slack in businesses at the moment,” he said. Jamie Younger, partner at Saffery Champness, pointed out a 4 per cent rate would put borrowing out of reach for new entrants and those who planned to expand. Michael Oakes, the NFU’s dairy board chairman, suggested his sector would be more exposed than others because dairy farmers tend to borrow more. “When we had 18 per cent interest rates when I was younger, we were not massively in debt, but my father had to go off the farm and almost do another full-time job,” he said. “For a lot of us in my generation, we have got pretty used to borrowing quite cheaply. If I can fund it, I will borrow it. Model how each half a per cent rise would affect your business. Is it sustainable?